The sourcing of natural gum is a complex process that requires a strong expertise of acacia trees, as well as relationships with local farmers and knowledge of traditional practices. In addition to the knowledge that we have been acquiring since 1884, Alland & Robert has developed solid partnerships with an extensive network of suppliers. Our suppliers are integrated into our value chain, and must comply with our charters and safety, ethical, environmental and societal standards. The sourcing of raw materials is an important part of our success. 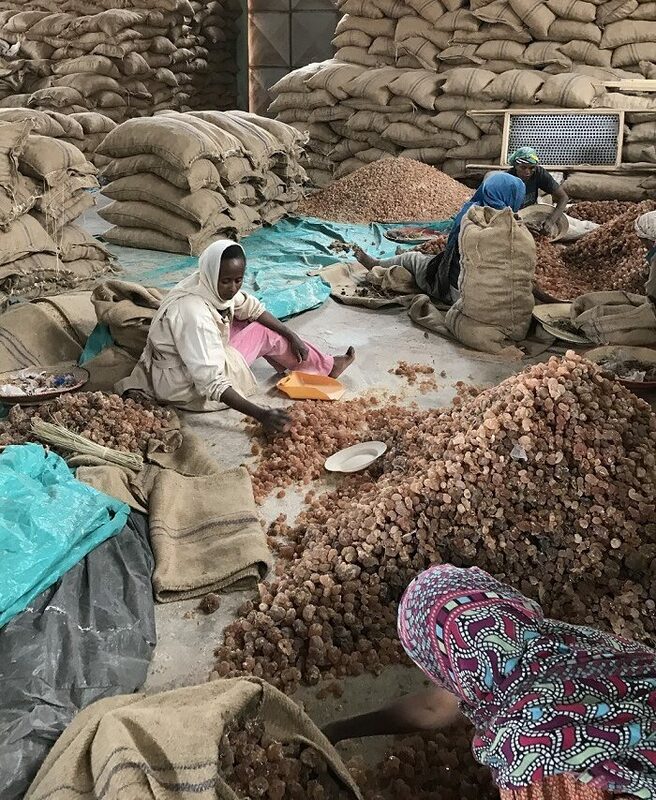 Over the years, Alland & Robert has built up a unique network of reliable, competent suppliers throughout the “gum belt”, the vast swathe of the African Sahel stretching from Senegal to Ethiopia, in dry and semi-arid areas of the south of the Sahara. where natural gums can be sourced. In 2012, 95% of gum acacia was exported from Sudan, Chad and Nigeria. First an incision is made on the tree, which is called the tapping. 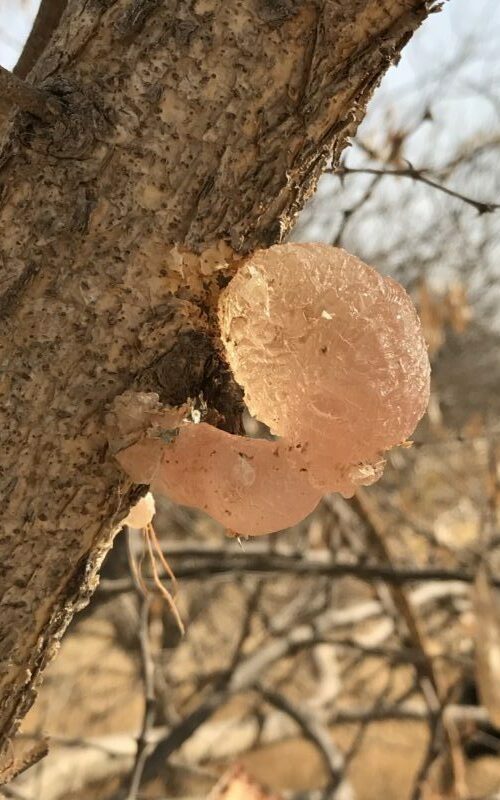 This operation does not damage the tree, and will induce a complex mecanism in it, so that the acacia will exudate gum in order to cover the incision. The gum is exudated through the incision, and starts to dry when in contact with the air. It progressively becomes a nodule. Several weeks after the tapping, harvesters come back and cut the nodule from the tree with a blade. Then, the nodules are dried, sorted and stored, before being sent to Alland & Robert factories. Harvest techniques often come from long traditional practices that farmers have been developing for decades. No chemicals are involved in the harvesting process, which is carried out completely by hand. Alland & Robert has been acquiring knowledge of natural exudates since 1884, and has participated in published studies on botanical and scientific reviews. Alland & Robert also has strong ties to local communities, in order to share and improve knowledge of trees and plant exudates. Natural gums are a great resource for African populations, as their harvest brings in a significant part of the farmers’ yearly incomes. The gums are sold on local markets, so the money is directly reinvested in the local economy. 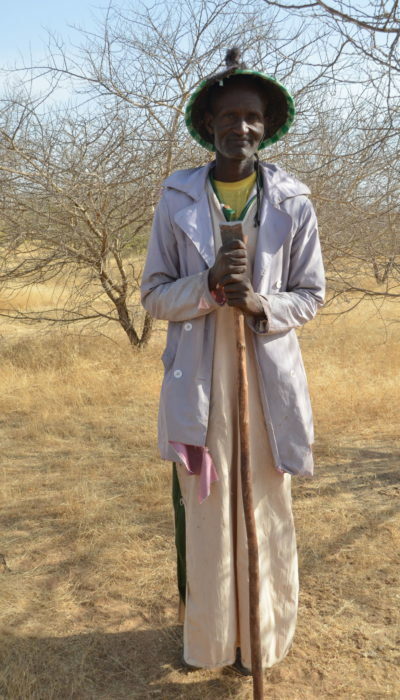 Moreover, the income from acacia gum is off-season (the crop usually occurs between December and April) because other crops are usually harvested in autumn. This allows the pickers to spread their incomes out over a year. Many studies have also shown that acacia trees have a very positive impact on the environment. The trees act as a barrier to desertification while nourishing soils, making them more fertile, fostering intercropping and stabilizing rainfall cycles. In addition, acacias supply forage and shade for cattle, offer a genuine home to several bird species and are generally a supportive environment for biodiversity. Our network of suppliers guarantees perfect traceability, safety of supply and consistency. Alland & Robert has been strongly committed to its suppliers in Africa for several years, and is looking for safety of supplies, transparency and honest relationships. Every year, Alland & Robert carries out an annual audit of all our suppliers, in the presence of our Quality Manager and our CEO. These audits are the opportunity to check our suppliers’ facilities, work on traceability and quality, and monitor any maintenance actions required. It is also an opportunity to discuss any issues, and offer new solutions or available material to improve the working conditions. We integrate our suppliers into our value chain, in order to engage in long term relationships. In order to achieve a successful and positive integration, we make sure that all our partners comply with our charters and safety, ethical, environmental and societal standards. Continuous exchanges with our suppliers occur all year long, regarding microbiological analysis, technical or packaging improvements, logistics or administrative issues. Alland & Robert’s goal is to support suppliers.